Frangipani blossoms drop, perfumed molting from gnarled old trees, delicate offspring in contrast to their parent. I can’t pass by without scooping one or two from the ground. Their perfume is strong but fleeting. 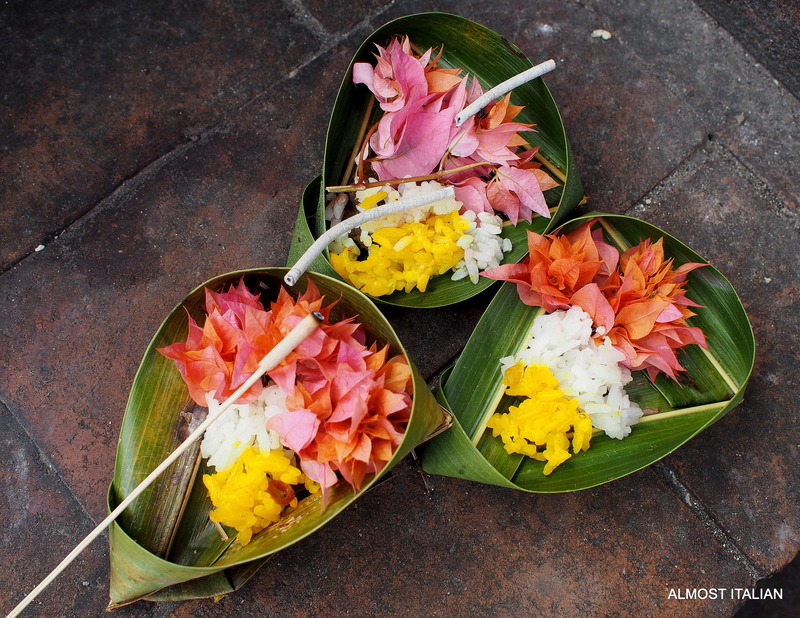 Bali is awash with other more colourful flowers as the daily ritual of canang sari (pronounced chanang) forms the central practice of Hinduism here. The practice is simultaneously private and public, a gracious display of personal spirituality taking place in open aired temples, at large intricately carved district Pura or smaller roadside temples along the way. Canang Sari, hand-made baskets filled with flowers and other oddities, are also offered at the entrances to homes and shops, at the edge of the tide, on the rails of a boat, at the base of large trees, at significant intersections along roads, at compass points in a house, at the highest point on ledges of temples as well as the eastern and western ledges. I feel compelled to photograph them all. Talk to the Balinese and they will be happy to explain the significance of each offering as well as the highlights of their temple calendar. Ritual is all-encompassing and omnipresent. Balinese women making ritual offerings at the local Pura or temple. Last week, the Balinese spent two days preparing for Galungan,¹ the celebration of good over evil, which is the highlight of the Hindu Calendar. This involved one day of spiritual cleansing at the local temple- again, awash with more flowers, followed by a day of personal cleansing. 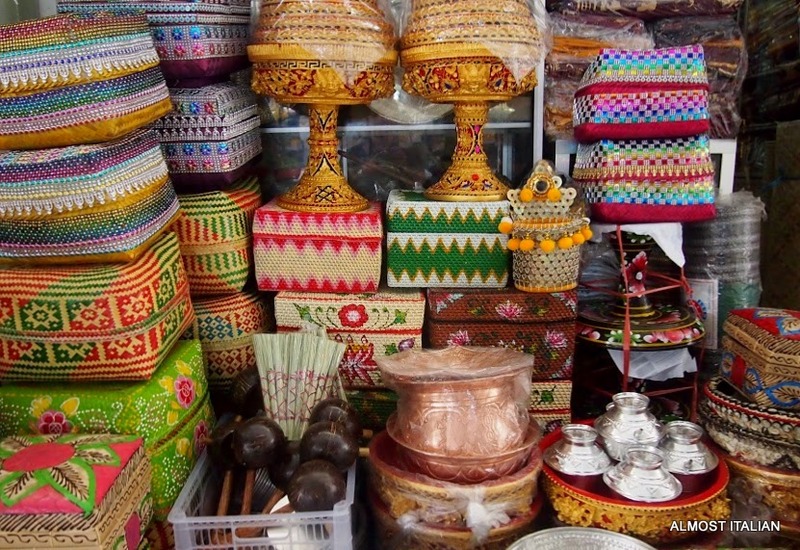 The streets and temples around Sanur are spotless in preparation for Galungan which takes place on September 7 and 8 this year. Many local women are busy plaiting and constructing elaborate decorations made from bleached coconut palm leaves for the coming days. Sadly I will miss it all- it’s time to say Selamat Tinggal to my other island home. 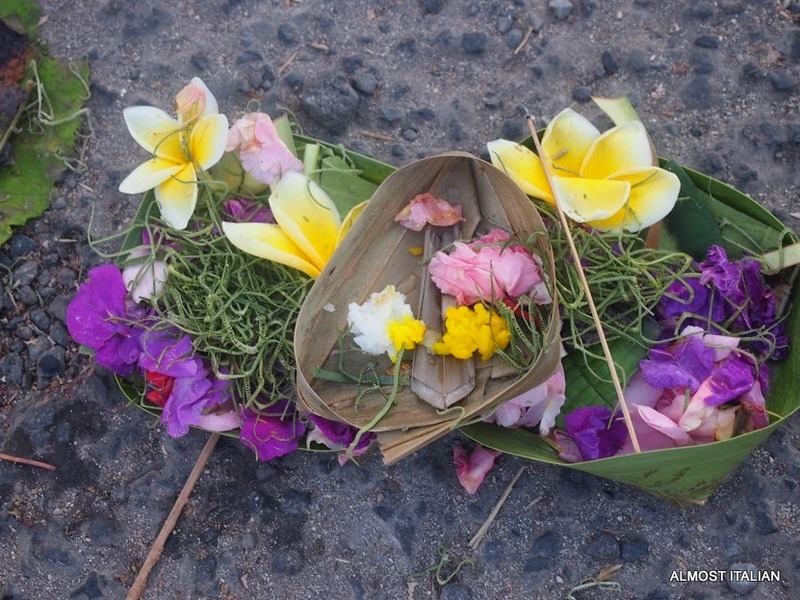 Farewell once again to the beautiful Balinese people and their inviting spirituality: farewell to the gnarled old frangipani trees and their daily blessings. Each photo above can be viewed separately. Click and open. 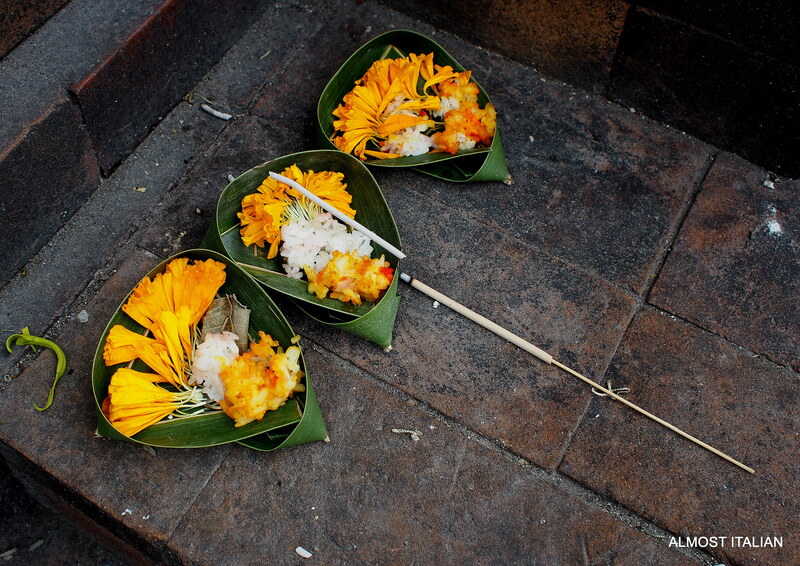 ¹ Galungan is a Balinese holiday celebrating the victory of dharma over adharma. It marks the time when the ancestral spirits visit the Earth. The last day of the celebration is Kuningan, when they return. 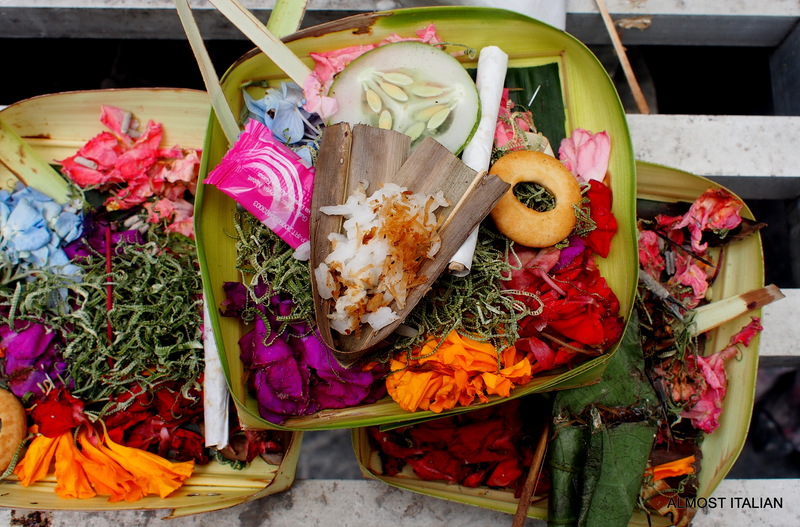 The date is calculated according to the 210 day Balinese calendar. I’ve been enjoying your postcards, Francesca, thank you. 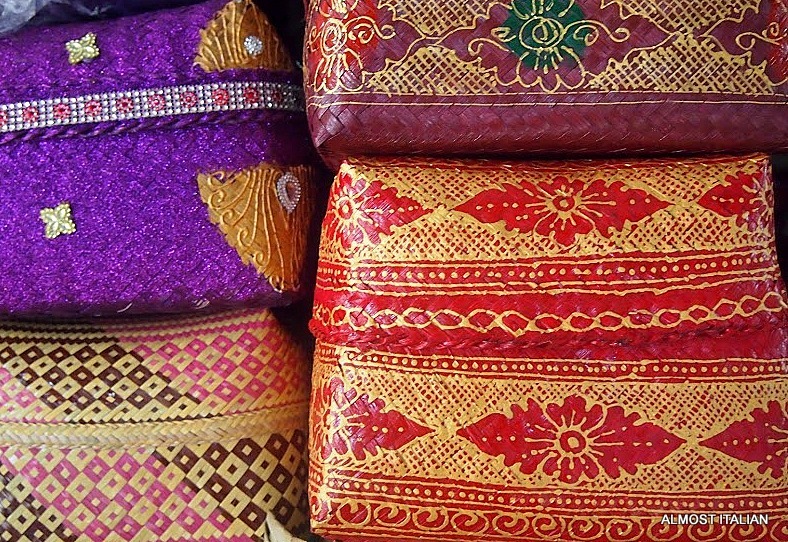 Bali seems a spiritual place full of exotica and euphoric perfumes. I sense the sadness of your departure. Again a beautiful post.. Your beautiful photographs are very uplifting this morning, thank you. Beautiful flowers, beautiful ceremony, beautiful farewell to a beloved country. Loved all your Bali posts. Breathtaking! The scenes of day to day are so beautiful, and of course so is the environment! I am fascinated by the customs and beliefs of the Asian countries, Francesca. When in Thailand, I found the Thai equally willing to share their beliefs and customs with me. This beautiful post has brought to mind some wonderful memories. Thank you. What gorgeous, colourful photos in this post Francesca! I am missing all that colour in grey Melbourne.